Richard A. 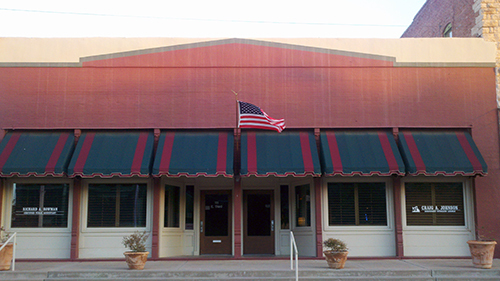 Bowman CPA is a full-service Sweetwater, Texas CPA firm providing audit, accounting, tax planning, tax preparation and business advisory services to our clients. Our goal is to help our clients improve their financial situation. A large part of our services involves compliance with audit and tax requirements but we also work to improve our clients financial reporting and tax compliance systems. We strongly feel that a good financial reporting and tax compliance system is fundamental to a successful business and fundamental to an individual’s financial condition. We partner with you to identify the goals and objectives you have for your business and work with you to achieve those goals. We strive to develop a long-term relationship built on trust and mutual respect. By providing financial and operational leadership, guidance, and advice we can assist you in increasing your income and improving your quality of life. Call us soon at 325-235-4974. We’d love to have an opportunity to talk with you about our firm and what we can do for you. 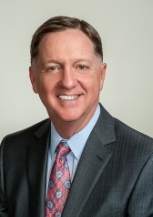 Richard (Ricky) Bowman specializes in auditing, tax and business consulting services for small businesses, governmental units, nonprofit organizations, and individuals. Ricky is licensed as a Certified Public Accountant by the State of Texas. Ricky’s education and background in auditing and small businesses allows him to provide his clients with not only audit, tax, and accounting support but also broad assistance in implementing accounting system support and improve effectiveness in all areas of his clients’ businesses. He has more than thirty years experience in implementing accounting systems ranging from QuickBooks Small Business Accounting Software to large Accounting and Reporting Systems, as well as software and systems to support the day-to-day operational and reporting needs of many industries. He is a member of the American Institute of Certified Public Accountants and the Texas Society of Certified Public Accountants. Ricky is the owner operator of a cotton farm in Scurry County. Ricky is currently a director of the Central Rolling Plains COOP in Roscoe, Texas. He is a Director of the Roscoe State Bank. He is also a Trustee for the Episcopal Diocese of Northwest Texas and is currently serving on the Texas Society of Certified Public Accountants Professional Standards Committee. William A. 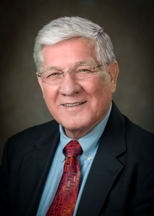 (Al) Keller has over forty years of tax and accounting experience. This broad range of experience includes taxation and business consulting for sole proprietors, small businesses, and multi-entity and multi-location businesses. Al has experience in construction, oil and gas drilling, operating, service companies, farming, and nonprofits. In addition to public accounting, he has served as the controller and CFO for an oil and gas company, rig manufacturing, and construction companies. Al received his Bachelor's degree in Accounting from West Texas A&M University. He has served as president and board member on several nonprofit and church organizations. Al is a member of the Texas Society of CPAs. In his spare time he enjoys woodworking, traveling, and quality time with family and dogs. Dayla Graham joined the staff in August of 2001. She is a graduate of Angelo State University with a BBA in Accounting. Prior to joining the firm, she worked in a variety of industries including oil and gas, retail, and banking. She has experience in a broad range of tax compliance and tax preparation areas including individual, corporate, estate, trust, partnership, and nonprofit. 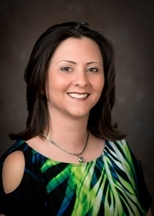 Dayla also prepares monthly, quarterly and annual financial reports, payroll, and related tax reports. She also provides accounting systems setup and support services. Dayla also assists with audits of governmental entities, employee benefit plans, small businesses, and nonprofit organizations. Jenny is a graduate of the University of Texas-Pan American where she attained a Bachelor of Arts degree in English. Before her employment at the firm, Jenny had experience in the fields of retail, administration, and education. She joined the firm in October of 2003. She assists clients with accounting system setup and support along with payroll services and the related payroll tax compliance responsibilities. Jenny processes tax returns and manages the e-file processing system of the firm. She maintains client files and accounts. She provides support for the audits the firm performs. 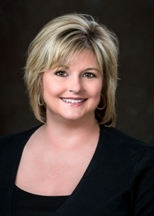 Jenny provides accounting and bookkeeping assistance to all clients.